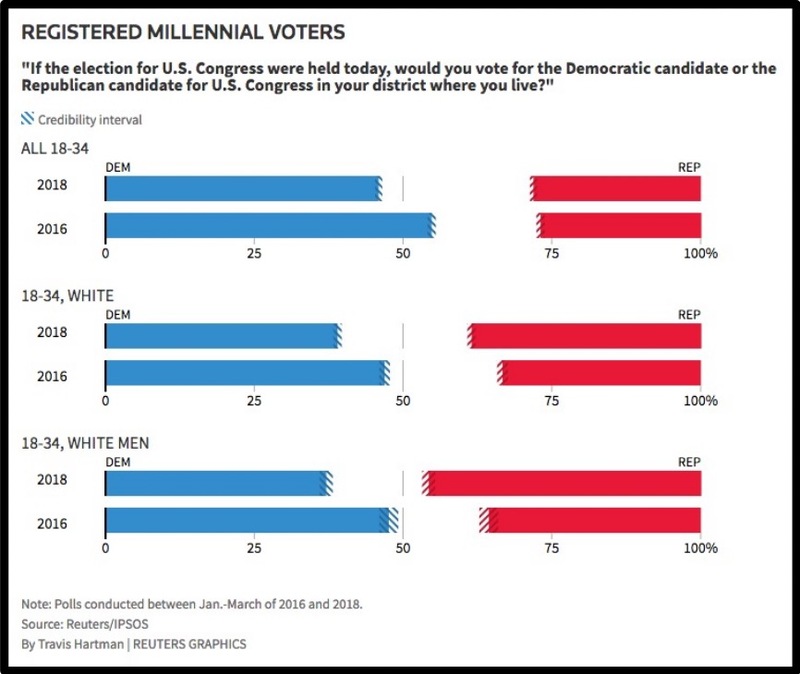 The latest poll from Reuters and Ispos shows that millennial support for Democrats has significantly dropped over the past two years. The poll surveyed more than 16,000 registered voters from January through March of this year. The data shows that only 49 percent of voters between the ages of 18-34 are likely to support a Democrat, a nearly 10 percent drop from the 2016 iteration of Reuters’ poll. 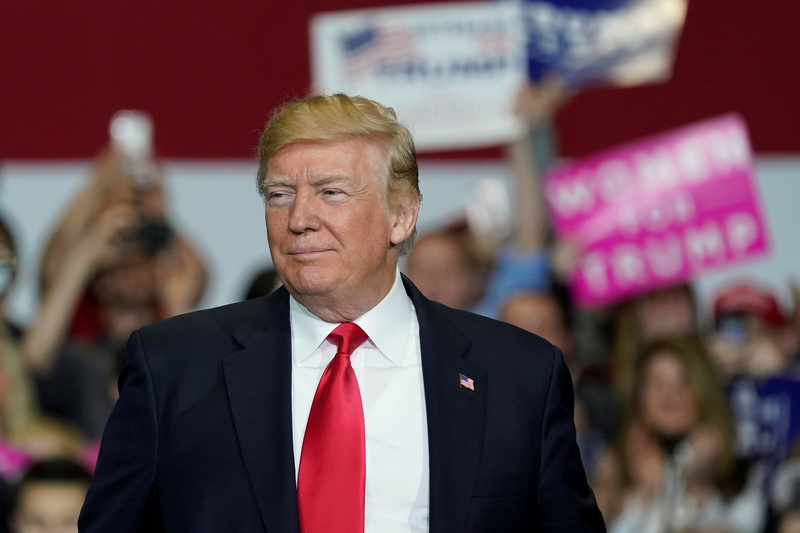 While “overt” support for the Republican party did not change from 2016, the same amount of young voters (39 percent) now say they would support a Republican for Congress as a Democrat, erasing the 14 percent gap in the 2016 poll. Additionally, millennials are now almost evenly split on which party has a better economic plan: 34 percent favored Democrats on the issue, while 32 percent favored Republicans. In 2016, Democrats outperformed Republicans on the economic question by 12 points. You can view view the poll in its entirety here. The Reuters poll comes amid speculation that Democrats are primed to take back Congressional majorities in the 2018 midterm elections.